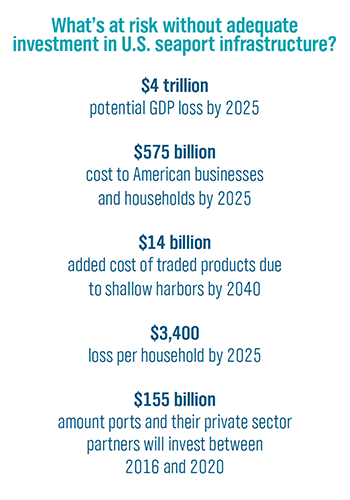 Ports are a vital part of America's critical transportation infrastructure and the keystones of a strong economy - connecting rural american farmers, manufacturers, workers and consumers to the global market place. 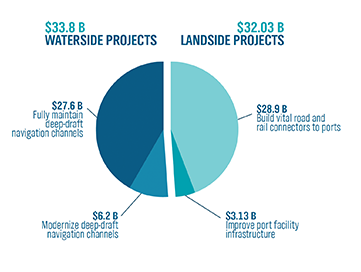 Responsible for over a quarter of United States GDP and more than 23 million American jobs, a well-maintained port system is vital to the manufacturers, exporters and farmers who count on U.S. ports to move their products to market. Eliminating the diversion of HMT funds away from their intended purpose is important to ensure a steady flow of U.S. goods to international markets.